In 2013, the university diverted 46.05% of its total waste from landfills. 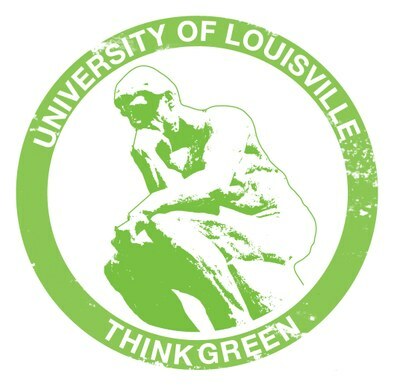 It is vital to the success of every recycling program that each member of the UofL community does their part to reduce the amount of solid waste generated on campus. Since 1991, the Physical Plant department has administered many recycling activities and programs. These programs include paper, cardboard, fly ash, construction debris, refrigerant, used oil, scrap metal, and many other items. In 1995, the Physical Plant department and the Department of Environmental Health & Safety implemented a program to collect and recycle “universal wastes” which includes batteries, mercury containing devices, and lighting. The Physical Plant department is also committed to reducing waste and reusing materials whenever possible. Our campus-wide programs include turning off lights in offices and bathrooms when not in use, and powering down computers and monitors after business hours. We are also an integral part of the Belknap and HSC energy audit, a university initiative to conserve energy. Additionally, Physical Plant reuses limbs, leaves, and other materials from campus grounds for mulch. And we participate in the surplus property exchange program where campus office furniture and equipment are reused. For questions regarding battery recycling please contact the Hazardous Waste Coordinator, Cathy Price at 502-852-2956. For all other questions contact the Grounds Superintendant, Greg Schetler at 502-852-0926.